Even with your thoughtful guidance and superhuman parental-reflex skills, there is sadly no way to pack yourself into a child’s backpack to get a front-desk seat in their school experience. In addition to fretting about their reading comprehension and how they’re adjusting to a new school year, you might also worry about whether your child is socializing effectively — whether they’re building friendships that could last beyond high school graduation. And then there are the more troublesome social worries: Could your kid be a victim of bullying? Or worse, could they have become the bully themselves? It’s estimated that 49 percent of children in grades 4 through 12 have been bullied in the past month, while nearly 31 percent confessed to tormenting others in that time. Though you of course want to prevent either from happening to your kid, psychologist Dr. Lindsey Henderson explains the indicators of bullying are often so subtle, you might miss them. Plus, it’s likely a child will stay mum about what exactly goes on between 7 a.m. and 3 p.m. 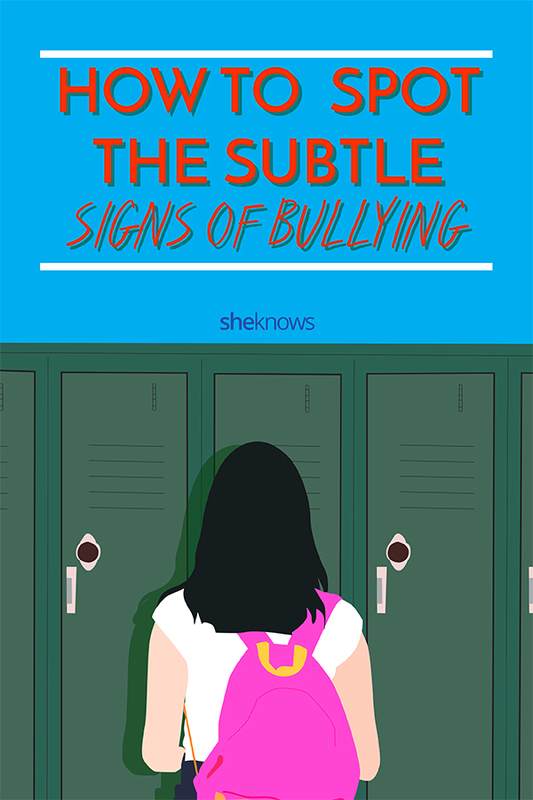 In honor of National Bullying Prevention Month, we spoke with Henderson and other experts for a look at the indicators of bullying you might not know about. All the experts agreed: Parents and caregivers should be aware of these actions (or nonactions) so they can spot a red flag — and help a child heal. If your once-cheery, even-keeled kiddo who used to skip through the streets and laugh without inhibition is now dropping a lot of self-deprecating comments, clinical psychologist and parenting expert Dr. Stephanie O’Leary says you may have reason to worry. If your child becomes anxious or nervous around friends and family and puts him- or herself down when the spotlight is on them, it could be an indicator they are experiencing the shame and guilt of bullying. Chaos and children often go hand-in-hand, especially as they surf through the tides of preadolescence and adolescence. Though a little tiff with best pals is common, normal and even healthy, if you notice your child is always at the forefront of gossip, they may be taking a ring-leading role that comes with a side of bullying. “When a child engages in bullying behavior, peers may respond in a number of ways, ranging from withdrawing to retaliating and everything in between. If he or she is frequently blamed by others, accused of doing or saying things that are mean or uncalled for or at the center of a revolving door of friends and acquaintances, it may be time to look at what he or she is doing to contribute to the drama,” O’Leary says. She says you might even recognize this over-the-top behavior at home; perhaps your kid is consistently setting up others — including their siblings or even you and your partner — to fail. “Often, parents assume that negative behaviors are limited to the confines of the home or family, but addressing the issue is critical in order to help your child increase awareness and make wiser choices moving forward,” O’Leary explains — especially since those behaviors are likely more far-reaching than you think. Though you might be quick to punish, yell or correct your kid, O’Leary says taking time to talk with them about how their actions affect others is the key to creating lasting change. After validating the child’s feelings, O’Leary suggests talking it out without letting your own fears about your child’s happiness seep into the conversation. “Listen to what he or she has to say, even if you can’t make sense of it in the moment. It could be that you are observing your child vent pent-up frustration, hurt and anger over bullying that you are not aware of — and that he or she is struggling to cope with,” she adds. Consider the last time you were in a place where your child wasn’t familiar with the culture or with all the people. This could be while traveling or even just walking through a shopping center. Were they open to learning about a different community? Or were they quick to share harsh comments and judge those who may look or act differently than they do? Unfortunately, the latter sentiment doesn’t require a passport, Henderson says. “Some children show a lack of ability or willingness to accept those who are different and make efforts to control these differences by engaging in bullying behavior,” she explains. So, the next time you notice your child acting on their fear of the unknown, take it as an on-the-spot learning opportunity. “Nurturing empathy and modeling acceptance of all others is vital for parents to do themselves. Praise your children for any positive steps [they take] in the right direction,” Henderson suggests. Depending on a kid’s history with Mr. Sandman, O’Leary says this sign may be slightly less subtle than the others. You might automatically associate your child’s frantic energy with a busy school year — or maybe you jump to the frightening conclusion that they’re battling a medical issue. In reality, they could simply be responding to bullying. 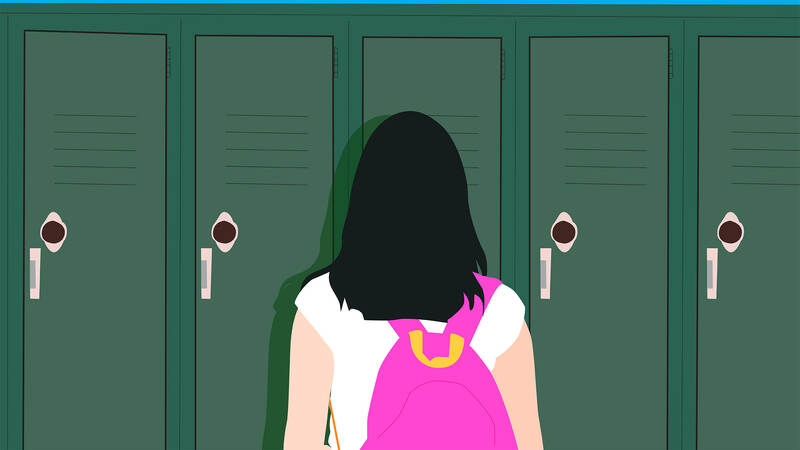 “If your child is struggling to fall asleep, stay asleep or wake up, or if he or she is having nightmares, it’s a good time to check in on social connections and friendships to see if bullying is contributing to the issue,” she says. You can ask them directly about what’s making them struggle to count sheep or you can take a quick look at their public social media accounts. You might find obvious proof of bullying that’s interfering with their sleep, hygiene and health. And if you do? Take it as an opportunity to team together with your child; talk it out and determine the best course of action you’ll both feel comfortable sleeping on. If you care for multiple kids, you might notice a discrepancy in their personalities. Maybe the eldest is more vocal and outgoing, while the youngest is quieter and reserved. Though argumentative behavior can be totally normal (especially in teens), Henderson says to be on the lookout for an overly aggressive demeanor in children. If a child is combative with teachers, parents and adults — and/or if they present a positive view toward violence — they could be taking out their anguish on their schoolmates and friends. “Children may also easily justify their problematic behaviors. Talk to your child frequently about violence and aggression, and set consistent consequences for behaviors of this nature. Help them understand the impact of this behavior on others,” Henderson advises. Regardless of whether you notice any of these telling signs in your child — and whether they truly mask bullying or victim behavior in this moment — it’s important to be on the lookout. This way, you can step in to give words of encouragement, inspire change and even promote kindness. With the right intervention, you — and the kid in your life — can help end the cycle of bullying and torment, which definitely has no place in any hallway or classroom. Or anywhere for that matter.